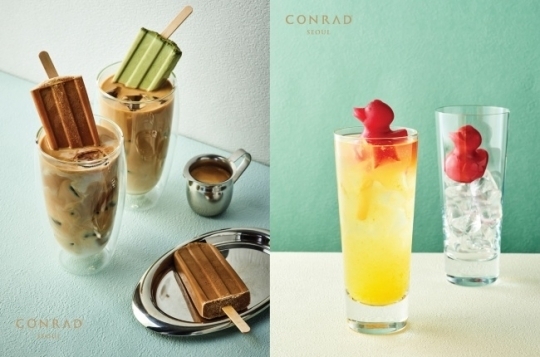 JW Marriott Dongdaemun Square Seoul’s restaurant Tavolo 24 offers the promotion Summer 8, featuring dishes inspired by regional food across the nation. Recreating traditional tastes, chefs whipped up the dishes with stylish techniques. Guests who dine at the lunch and dinner buffets can enjoy the promotion. The menu may differ depending on the timeslot. Other European and Oriental menu items have been prepared as well. The promotion will continue until the end of August. 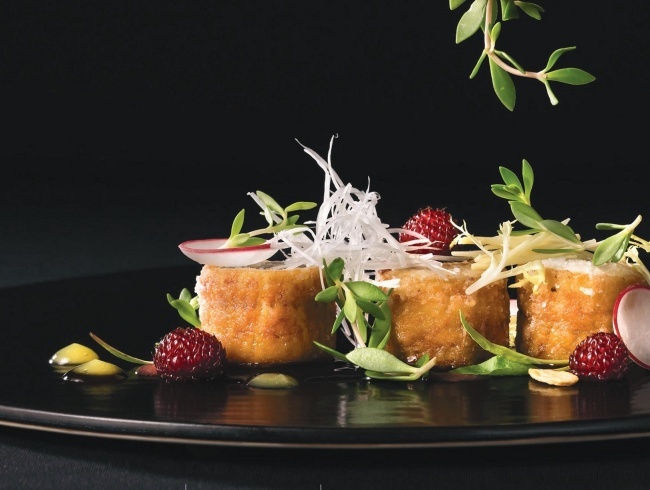 Summer 8 is part of the Marriott Gourmet Journey festival, held by Mariott International. Guests can enjoy dining under the theme of “Go Local” at various brands under the hotel franchise in Korea. For more information or reservations, call (02) 2276-3320. Sky Beach was decorated under the concept of a “beach club.” Located on the 34th floor of the hotel’s entertainment space Sky Kingdom, the club was designed after Marina Bay Sands in Singapore and a club in Ibiza, Spain. An indoor bar at the club offers American casual dining and barbeque grilled dishes. For more inquiries or reservations, call Seoul Dragon City at (02) 2273-7000. Grand InterContinental Seoul Parnas presents the Good Night, Summer Night Package for those looking for a good night’s sleep in summer. The package includes a night’s stay, an aroma sleeping kit from the UK brand This Works and a breakfast buffet for two. Guests can choose from five types of pillows from a list provided in rooms. The package is available until the end of July with prices starting from 260,000 won. For reservations and inquiries, call the Reservation Office at (02) 559-7777. The package includes a breakfast buffet for two people at the hotel’s Italian restaurant Cornerstone. Italian-style popcorn and beer are prepared in the rooms, and guests in a suite will receive a bottle of red wine. A limited number of family guests with kids younger than 7 will be provided special kids’ amenities. The price starts from 325,000 won for a standard room and 475,000 won for a suite. All guests are welcome at the hotel’s infinity pool on the 24th floor. For reservations, contact (02) 2016-1100.